When you journey in to those Big Box Golf Stores, and come out with your shiny new O.E.M. set of irons, Guess What? There is a 90% chance you have a cheap set of steel iron shafts, not matched for frequency, weight, balance points, kick points, and a whole lot else. In this section we are going to try to explain what you may have and what you should have,in your iron shafts, and why it is really easy to become a shaft fanatic, which will not only fascinate you, but lead to better shot making with your new steel iron shafts. You need to take an interest in your steel iron shafts, and get to a professional club fitter, to find out what you have, and get upgraded, so you stand a better chance to pull off those iron shots, just like you see on T.V. Way back, throughout the UK, in 1603, the golf shafts were, as you can imagine somewhat different to that of today. The golf shafts were made of wood, normally either hazel or ash, which is a very rigid wood and today used in walking sticks. The shafts were then attached to the head of the golf clubs with a splint and bound tightly with leather in order to keep the clubface nice and straight through the swing. Later, a Scottish club maker introduced hickory imported from America to make shafts but it wasn't until the late 1890's that some club makers started to experiment with steel shafts. Steel shafts were banned by the R&A until the Prince of Wales used a set at St Andrews back in 1929. Go figure, this forced a rule change in 1930. 1930 the Royal and Ancient Order of Saint Andrews, the golf- decision making body in Scotland, made the steel shaft legal for tournament play. 1941 True Temper introduces the first steel iron golf shaft to offer complete flex categories. 1942 True Temper’s Dynamic line is tested and introduced on the PGA Tour. 1949 Company’s name changed to True Temper from American Fork and Hoe. 1980 True Temper introduces the DYNAMIC Gold LINE. 1996 True Temper introduces the vibration dampening Sensicore shaft. 2005 True Temper introduces the Dynamic Gold Superlight. 2006 True Temper acquires the Royal Precision Company and Rifle and Project X. True Temper shafts have been #1 on Tour every week since official equipment counts were started on the PGA Tour, more than 90% of the field will rely on True Temper shafts in their clubs. Teur Temper shafts have won more tournaments worldwide than all other shaft manufacturing companies combined. HOW ARE STEEL SHAFTS MADE? There is two primary ways to manufacture steel iron shafts. A Seamless shaft starts out as a large cylinder of solid steel, which is heated and pierced with a special machine, turning the solid steel into a large, thick-walled tube. Over a series of stretching operations on very specialized machines called draw benches, the large, thick tube is gradually reduced in diameter and wall thickness to become a thin-walled steel tube, about five-eights of an inch in diameter. These shaft “blanks” are then subjected to a series of squeezing operations that form the individual sections of diameter called the “step-downs on the shaft. A WELDED TUBE shaft begins as a flat strip of steel that is coiled and welded into a tube. Through what is called high frequency welding, the two ends of the coiled strip are literally fused together without the presence of a second, different material as in the case of most welding. A machine then removes the excess metal from the outside and inside of the welded tube. 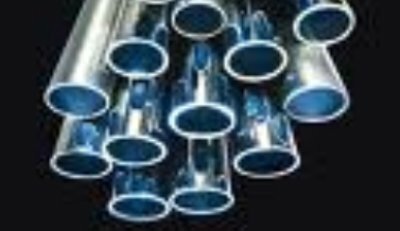 Once formed, the tube is stretched down to the required 5/8” diameter in the same procedures used in the forming of seamless steel shafts, with the step-downs formed in the same manner. Once formed into the step pattern dictated by each individual shaft design, the raw steel shafts are heat-treated, straightened and then nickel-chrome electroplated to prevent rusting. TAPER TIP? PARALLEL TIP? STEP PATTERN? STEPLESS PATTERN? TRUE TEMPER? RIFLE? The links below describe most of what you need to know about what is in your irons and perhaps what should be. We are reserving the graphite iron shaft for another day, and the links below will change and be added to, just like the evolution of the steel iron shaft has.